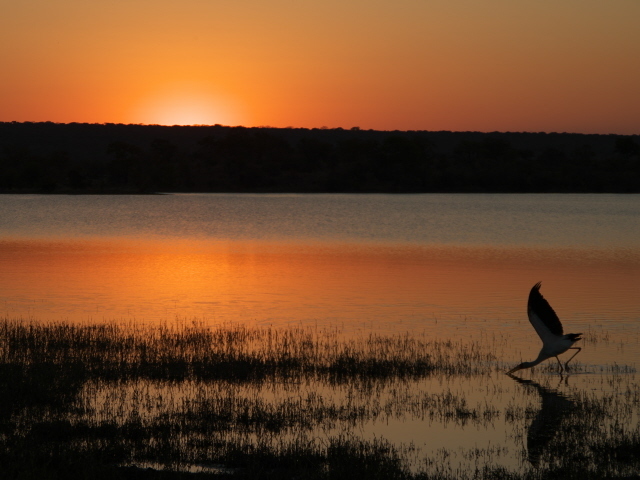 A mid-sized, landlocked country in the south of Africa bordering Zambia in the north, Mozambique to the east, South Africa to the, well, south, and Botswana to the west. Zimbabwe is best known worldwide for its former authoritarian leader Robert Mugabe, who ruled the country from 1980 to 2017, thus becoming one of the longest-ruling dictators of modern times. Zimbabwe was also infamous for its largely self-engineered economic decline that turned it from the former “jewel of Africa” to a country in seemingly perpetual crisis, or as Tony Wheeler put it “from bread basket of Africa to just another African basket case” (Dark Lands, p. 302). This economic decline was largely due to a “reverse-racist” policy of driving white farmers away, seizing their land and giving it to loyal Mugabe followers (who had to be black, naturally), even though these mostly had no skills or even any interest in farming. So Zimbabwe went from a food exporter to relying on imports and aid, while at the same time sanctions were imposed on the Mugabe regime by the outside world, although, as usual, these hit ordinary people harder than the big man at the top. To be fair, Mugabe's rule started out on a rather positive note, namely as the result of a decade-and-a-half civil war that brought down the previous white-supremacy rule of Afrikaners who, very much like neighbouring South Africa had imposed a regime of apartheid following independence from Britain, when the country was called Rhodesia (after Cecil Rhodes – the British imperialist who left his stamp all over southern Africa). The most absurd feature of Zimbabwe's slip down the slope was its extreme hyperinflation, when within a single day prices would double while the value of cash halved, day in day out. So at one point there were 10 trillion dollar bank notes (worth a meagre 30 USD when issued). Eventually the country simply gave up on its own national legal tender and resorted to the US dollar as the everyday currency. Another hallmark of Mugabe as a classic, aloof African dictator was that he granted another one exile, namely Ethiopia's former socialist dictator Mengistu Haile Mariam, chairman of the Derg (of “Red Terror” infamy), after he was deposed in 1991. In 2017, Mugabe was finally unseated himself (well, he was pushed to resign before being impeached) and succeeded by one of his allies, Emmerson Mnangagwa. On 30 July 2018, the new man at the top was challenged in the first-ever properly free elections in Zimbabwe by a party called Movement for Democratic Change. But this narrowly failed to win the majority, or so the official story goes. The result was immediately put in doubt as “rigged” and street violence erupted in the capital Harare. I was in the country at precisely that time, and experienced the high hopes people had for this election – one taxi driver described it to me as “Zimbabwe's Liberation Day” – and the disappointment that followed the outcome. However, I was in the perfectly safe tourist enclave that is Victoria Falls, and apart from seeing election posters, catching some news coverage on TV and talking to local people, I was not affected by the troubles, which were concentrated for the most part in the capital. UPDATE January 2019: things aren't looking good for Zimbabwe at the moment … protests, strikes, repression and police brutality have shattered hopes that the country might be on the path to recovery following the end of ex-president Mugabe's 37-year-long rule. Now it looks more like chaos … and inflation is back too. We'll have to waint and see what may come out of all this … it's hard to predict. So Zimbabwe can surely count as a Dark Land, but what about dark tourism in it? I have to admit that the inclusion of this country on this website was driven less by there being any specific dark-tourism-relevant sights, than by its 'dark land' status in general, and it also neatly provides me with a “Z” in my A-Z of countries represented here. I visited only the north-western corner of the country, more precisely Victoria Falls, a tourist town named after the world-famous waterfalls of that same name on the border with Zambia. You could perhaps argue that the falls also constitute a somewhat dark site of sorts in that they can be dangerous. 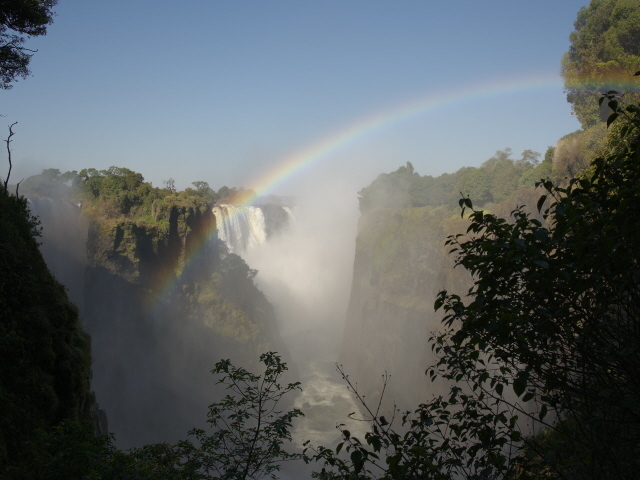 And indeed a tourist guide had fallen to his death a couple of years ago in his attempt to rescue a tourist who had strayed into a dangerous area too close to the rim of the falls … but that was actually on the Zambian side. One particularly adventurous attraction of the falls is what's known as Devil's Pool: a natural rock pool behind a ledge where you can bathe in the waters directly adjacent to the fall's rim, and even lean over and look down the 100-metre drop. This pool is reached by boat to an island close to the edge of the falls and then on foot, secured by ropes, followed by a jump into the rock pool. 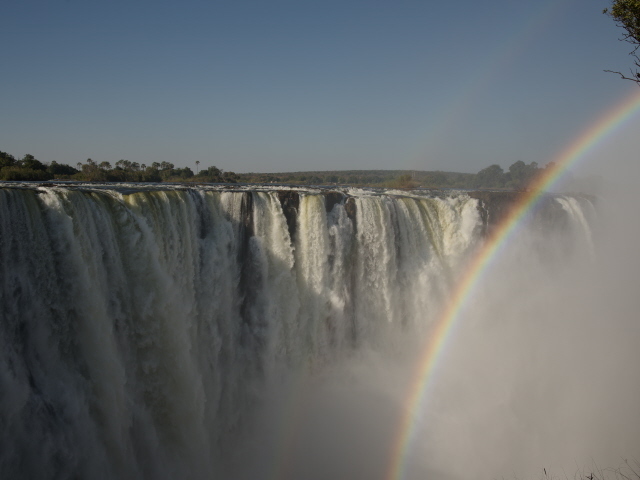 This too, however, is on the Zambian side, naturally (the falls basically fall from Zambia into Zimbabwe). My wife and I considered this, but a) it was slightly too early in the year, when the water levels were still too high for Devil's Pool to be safely accessible (tours usually start in mid August), and b) the costs would have been painful, not only the fee for the tour (starting at ca. 100 USD per person) to Devil's Pool, but also the need to cross the border into Zambia would have incurred visa fees (though there are now day-tripper visas that cost only 20 USD). The Falls, over a mile wide and dropping between 75 to over 100 metres, are indeed an immensely impressive sight to behold. And I did so on three occasions at three different times of day: first independently in the afternoon (when those glorious rainbows form), then on a guided tour the following morning, and I also went on a helicopter ride over the falls at midday, when you can see those rainbows from above. Words cannot describe it – but the photos below at least give a rough impression (though it still can't compare to seeing it with your own eyes for real). I also went on a safari in a nearby game reserve and on a river cruise on the Zambezi River – to the west of the Falls, obviously. On the other side, i.e. after the Falls, it's more white-water rafting than cruising. The only darkish elements I saw were the many rusting car wrecks by the roadside and all those election posters, typically wrapped around tree trunks rather than put on regular billboards. I guess given how the election went, these could also be regarded as vaguely dark. But I did not visit any site specifically commodified for dark tourism. And I am not aware of any in Zimbabwe. If anybody can enlighten me about the existence of such sites I would be very much obliged (contact me). 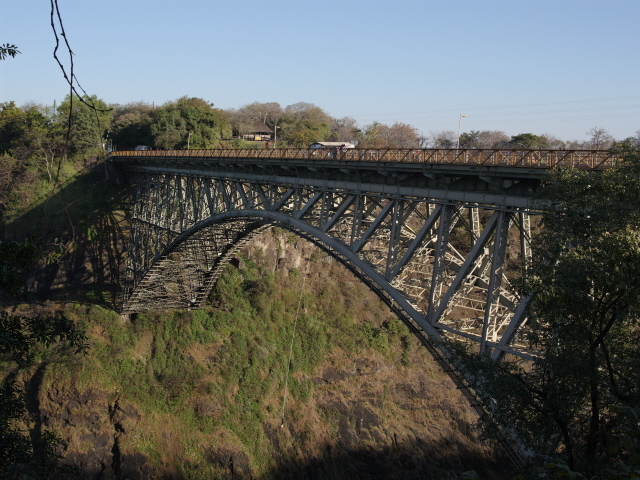 Thrill-seekers may also count the option of bungee-jumping and zip-lining over the gorge of the Zambezi as something of an adrenalin-injection kind of darkish activity. I travelled to Victoria Falls and back by plane from Johannesburg, South Africa, as part of my summer 2018 trip to that city and, in particular, to St Helena. It was all very easy and largely stress-free. You get a visa on arrival (not cheap, though), and the bureaucratic hassle was, by African standards, fairly minimal. Transport was mainly by taxi, except for in Victoria Falls town itself, the centre of which is small enough to be walkable. It's also quite safe (much more so than Johannesburg!). Tourist facilities in this corner of the country are excellent (I even found a craft beer pub – who would have thought that! ), but price levels are actually noticeably higher than in South Africa. In culinary terms, Zimbabwe is quite similar to South Africa, in fact much of the food, and all of the wine, is imported from there, though the Cape Malay side of it is, sadly, absent (so no spicy curries). 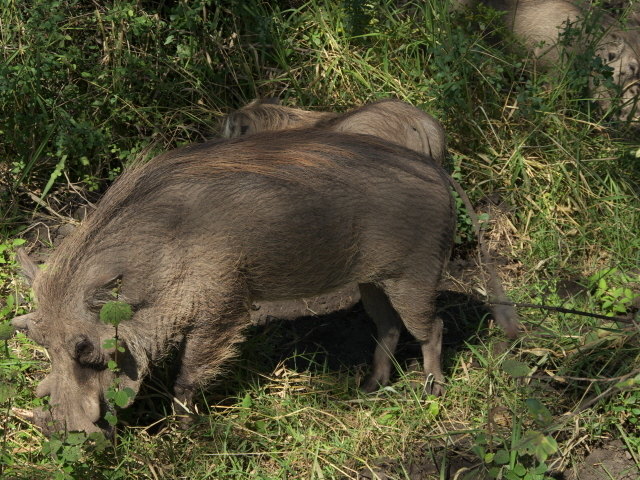 Wildlife is also the same as in South Africa or Zambia – so safaris go out mainly in search of the legendary Big Five (of which I saw four: rhinos, buffalo, elephants and lions – only the leopard remained elusive), though hippos in the Zambezi, as well as giraffes, antelopes and various birds are also worthy of spotting. 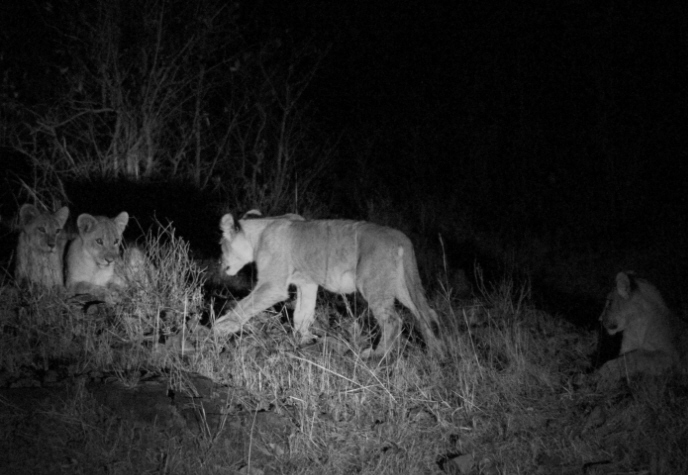 Wildlife in general has suffered a lot in Zimbabwe – not least through poaching. 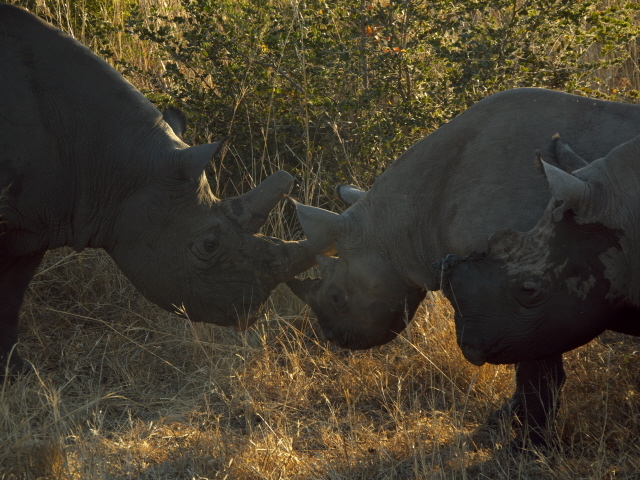 But the Zambezi National Park, where I went on my evening safari, is also home to several breeding pairs of the highly endangered black rhino, and I was lucky to spot a small happy rhino family (father, mother and daughter rhino). At the Victoria Falls themselves you can encounter some wildlife too, in particular monkeys and warthogs, but sometimes even elephants come by (and cause security concerns and physical damage). 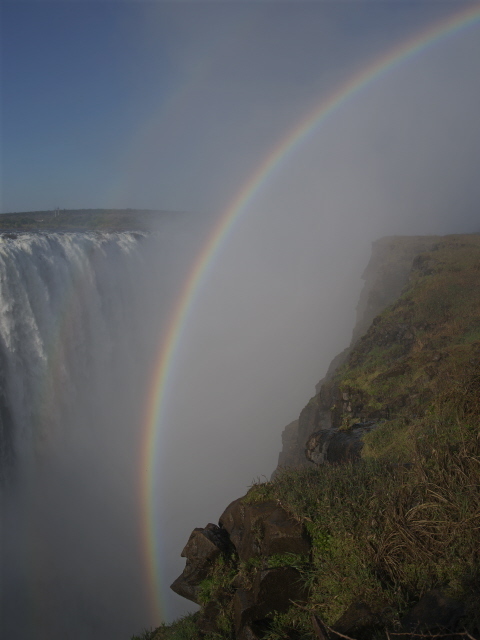 When walking to the viewpoints on the edge opposite Victoria Falls you should take rain capes – because the spray from the Falls would otherwise get you drenched to the bone in no time, especially towards the eastern end of the Falls. Note, however, that the water levels of the Falls vary quite a lot with the seasons: they are strongest during the rainy season and shortly after, peaking at around May/June. 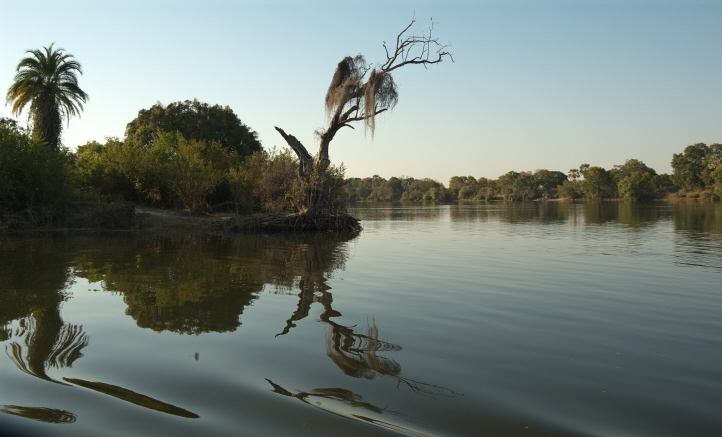 In the dry season from September/October onwards, the Falls weaken and in the easternmost part can dry up completely (at that time nothing would be seen of them from the Zambian side). All in all, Zimbabwe may not be a top-league dark-tourism destination, but a couple of days at Victoria Falls is something I can warmly recommend. 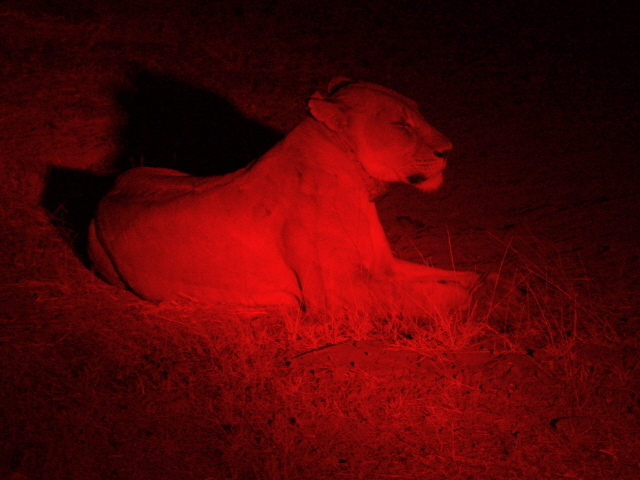 It's a cool add-on when in South Africa (or Botswana or Zambia). About the rest of the country I cannot say much from first-hand experience. See, however, Tony Wheeler's excellent account of the country in his book Dark Lands.